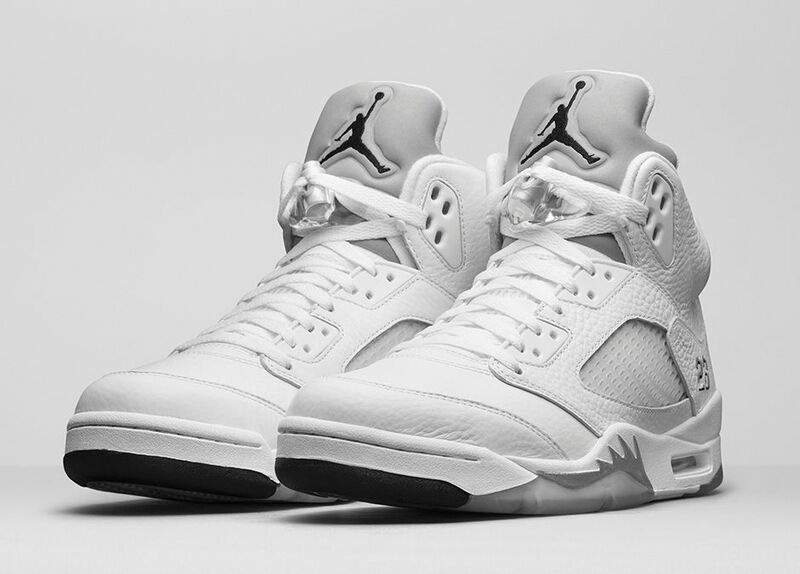 Originally released back in 2000, the Air Jordan 5 Metallic Silver is making its return to retail shelves this weekend in remastered form. 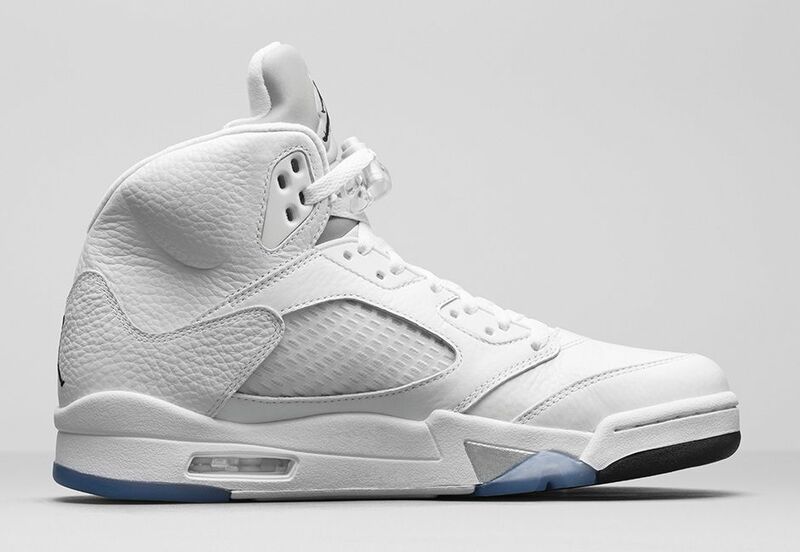 Inspired by a WWII fighter jet, the Air Jordan 5 was designed by Tinker Hatfield. 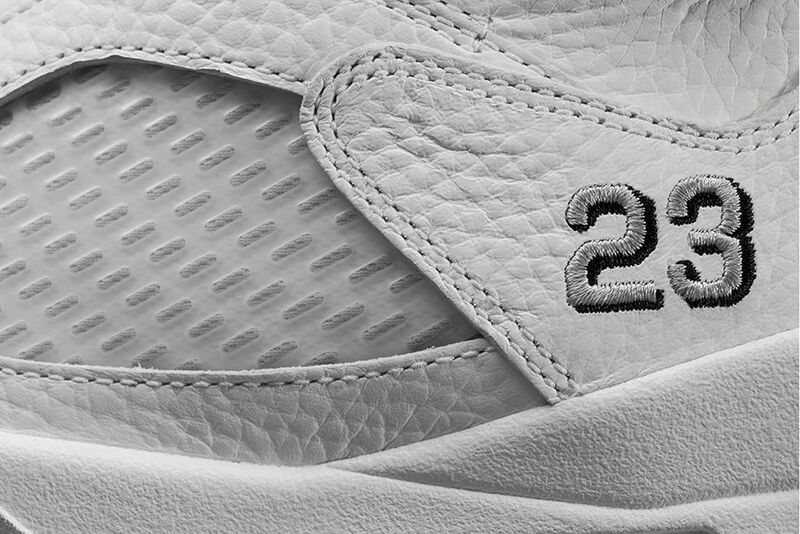 A man of many talents, Tinker was also responsible for the origins of the popular Nike Air Max 1 as well as plenty of other shoes from the company. 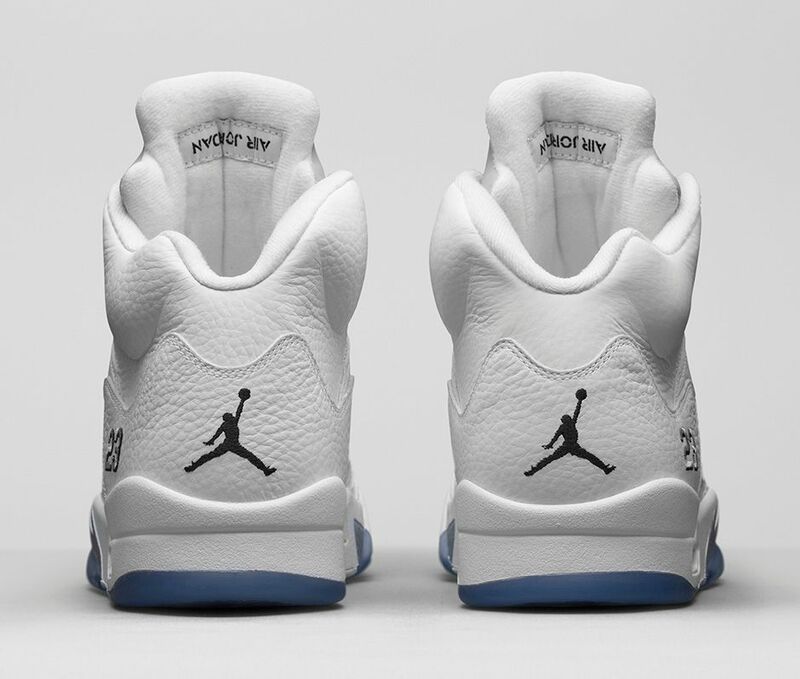 For the latest colorway of the Air Jordan 5, the model uses a white mixed with metallic silver of the tumbled leather upper. 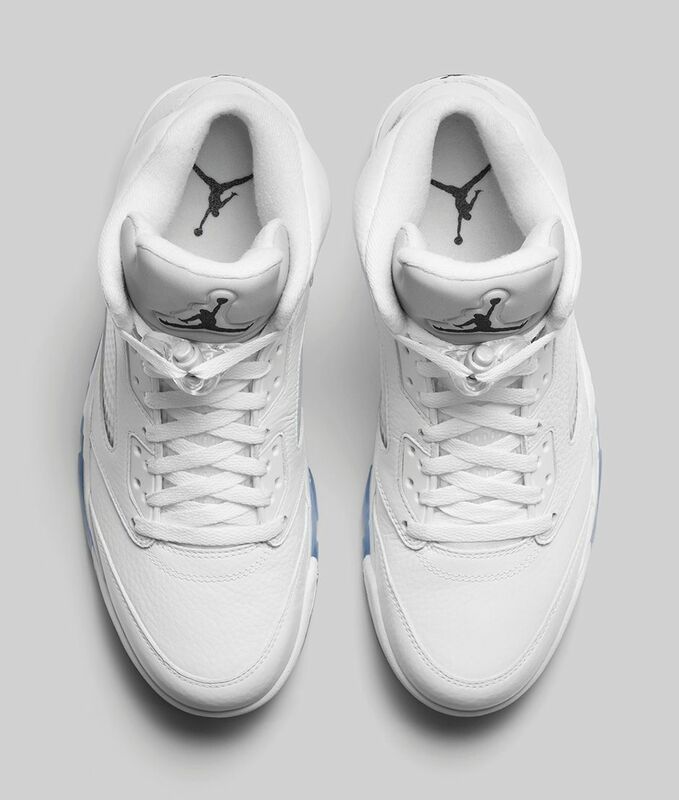 One of the popular design aspects of the Jordan 5 is the reflective tongue and Jordan Brand keeps it intact on this design as well. 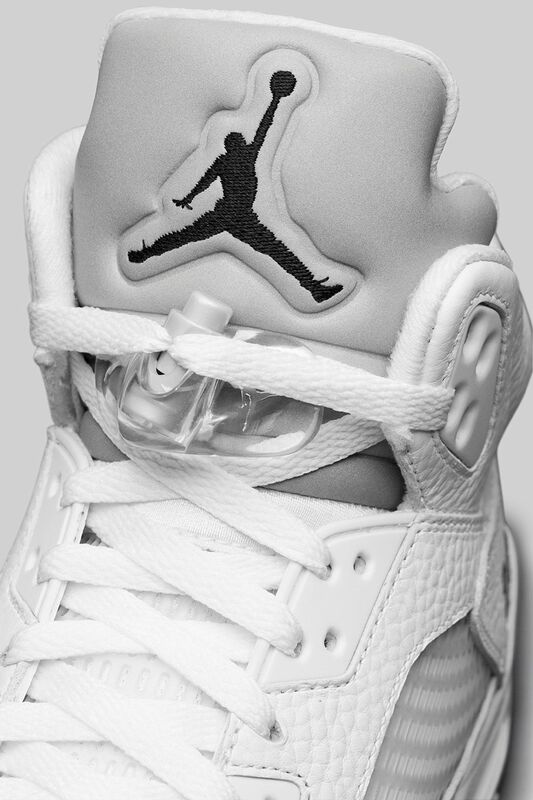 Black is used on the logo on the tongue and also makes the #23 pop on the lateral heel. 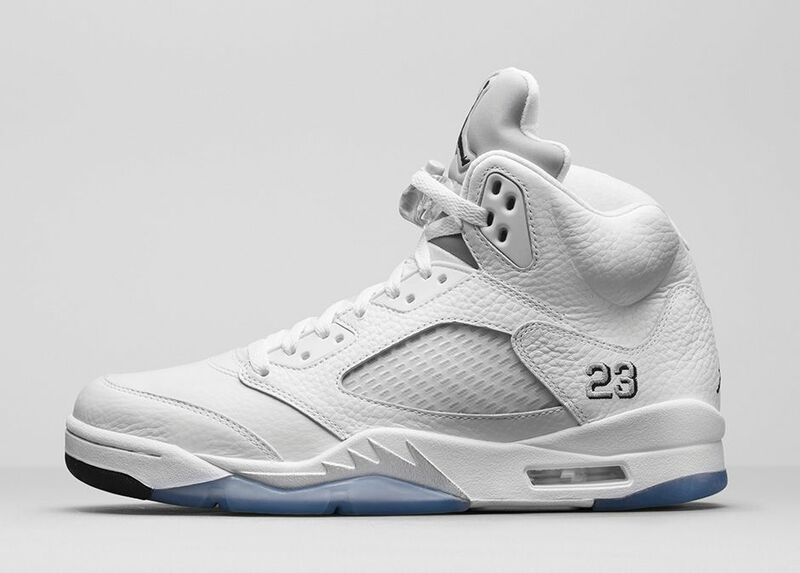 Look for the Air Jordan 5 Metallic Silver to release on April 4 for $190.